Eaton 3-Pole Freedom Series Non-reversing combination starter has current rating of 18-Amps and voltage rating of 600-Volts maximum at 50/60-Hz. It measures 4.61-Inch x 4.38-Inch x 3.31-Inch. Horizontal mountable starter has coil voltage rating of 480-Volt AC at 60-Hz or 440-Volt AC at 50-Hz. NEMA size 0 starter offers 1 NO auxiliary contact configuration. 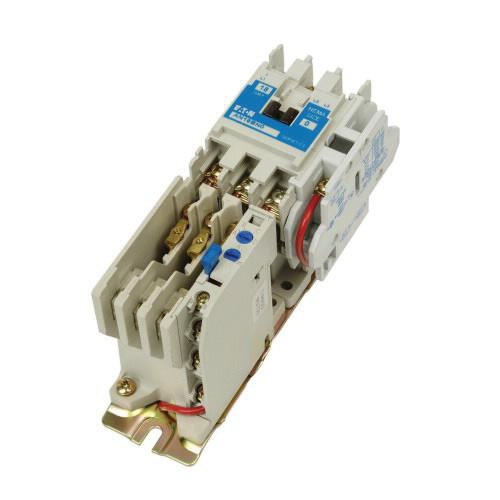 This 1-/3-Phase full voltage motor starter is perfect for motor and power control equipment. Non-reversing non-combination starter is UL/cUL listed, CSA/CE certified and meets ISO 9001 standards.